The National Environmental Policy Act was first enacted in 1970 and was the first federal law designed to help protect the environment. The Act established the President’s Council on Environmental Quality. In the years leading up to the passage of the Act, many Americans were growing concerned about pollution and the impact on the environment. This Act directed all branches of the federal government to consider the impact to the environment before implementing any new legislation or starting any major federal actions in the life sciences. Requirements under this Act are invoked when buildings, airports, highways, military complexes, parkland purchases or any other type of federal activity is proposed. An Environmental Impact Statement and an Environmental Assessment must be completed analyzing all courses of action for the impact on the environment. Prior to this legislation, several bills designed to protect the environment had been presented to Congress. None had passed until a major oil spill occurred outside of Santa Barbara, CA. There were more than 3,500 birds killed and the damage to the environment was staggering. Other sea animals such as elephant seals and sea lions were also killed because of the oil spill and the impact on commercial fishing and tourism was devastating. 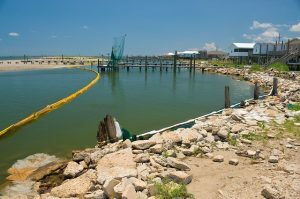 This oil spill, the 3rd largest in US history, was not the only reason for the National Environmental Policy Act, but is was certainly a considerable influence. The Act does not specifically mandate environmental protections. Instead, it sets out environmental policy for the federal government and requires that an environmental analysis takes place when proposing any major federal project. The end result of this Act is that it forces federal government agencies to factor in the impact to the environment when they are considering any major construction projects. The weakness of this Act is that it does not require federal agencies to reject a project, only to note the environmental impacts.